Of course – all this in the long run could be bad for the UK economy - there could be some form of crash after it, but for the time being, we are saying it how it looks – the Coalition want to stimulate the property market, also because it’s such a large part of the economy, growth has been subdues, manufacturing in decline and it’s about the only sector that can easily be stimulated. Printing Money Did Not Help: Furthermore, five years of printin g money to give to bankers – to help them re-dress their balance sheets has clearly not worked in stimulating growth. The banks continue to hoard the money, get the money at 0.5% rate, give savers 0.2%, and lend out at 5% to home owners, 10% for business loans and 15+% for credit card debt. What the government seems to be doing is creating a mechanism that will definitely target lending money to first time buyers – to kick-start the property market. As context, it’s been five years since first time buyers were frozen out of the property market. Many of these people who were looking to purchase at say 35 years old are now 40 – getting older – so if they let this trend of banks not lending money until a 20% deposit was put down, with deposits being £60,000 in London on top of £30,000 student fees, you can see people would be retired before they could afford a deposit on a property. Rents would then continue to rise, and property price stay suppressed for decades. No New Building: The rational that giving “zero cost loans for deposits” will increase construction, in our opinion, is unlikely to work. We doubt it will create any meaningful new building because of the red tape, regulations, slow planning process and Nimbyism throughout all of the UK regardless of the location. Furthermore quality land is in extremely short supply, demand for new builds is only moderate, business risks are high and building materials and labour costs have skyrocketed, as has the cost of complying with all regulations and affordable home criteria. It’s just difficult to make money. Existing home owners have no vested interest in letting new homes be built because the build work adversely effects the environment during construction, can be ugly, causes traffic jams and can decrease the price of existing property by boosting supply. It’s totally selfish, but the British are notorious for this type of behaviour. No-one wants building in their back-yard. And homes are crammed together. No-one wants fields built on either. It’s a sort of weird nostalgic thing that comes over the British. If any property is actually built – it is dumbed down tiny box like Lego homes – people just cannot get used to their neighbour building a nice big expensive mansion – it eats them up inside! Inflation if not now – eventually: As the government continues to print money to prop up the economy, this will eventually feed through to all type of inflation including property inflation. It might make people feel richer, but they won’t be in purchasing parity terms. The main beneficiaries of the inflation will be people that have large portfolios of assets – namely: property, land, gold, silver, artwork. The people that will be hardest hit will be the people that own no assets, might have some cash savings are that destroyed by inflation or “Cyprus style hair-cuts” – that see fuel and food prices skyrocketing. Prime London Boom: As the government prints more money, the Sterling currency w ill continue to decline against a global basket of currencies. This will make prime London real estate look cheap for foreigners and lead to further large inflows of money into London residential property and further London home prices rises – particularly in the medium to high end of the market. The value of Sterling is declining all the time – lets not forget you could buy a London mansion in 1970 for £250,000. Now this would cost £25 million. This trend is likely to continue only because of currency debasement and money printing. Western politicians see deflation as political suicide – so they will just print as if property prices follow the walls of useless worthless printed currency. In gold and silver terms, property prices may decline, but in currency terms they are very likely to rise further. Super Rich: The rich British and rich foreigners are set to get more wealthy as this trend continues and the poorer will be hit fairly hard as social security hand-outs are reduced and more pressure is exerted for people to accept low paid or part-time jobs. The disparity between the rich and poor will increase further leading up to the next election despite high taxes on the wealthy. Whether to Invest: We make no judgement on the rights and wrongs of this – merely we are stating it as we see it – to help property investors with opportunities. There is no use purchasing distressed properties in Barrow-on-Furness if it continues like this – a long slow decline in backwaters. But if you go to one of the poorer areas in London like Bow or Shoreditch, you will probably find property prices that are already very high – continuing to rise. Rental demand will be very strong. Infra-structure improvement will continue un-abated. As long as there is not a financial meltdown, property prices will continue to rise. Possible Crash Any Time: But just a word of warning. This bubble of printed money and debt cannot last forever. Whilst things might look superficially as if they are improving, the rot is just beneath the surface in the form of a gigantic private and public sector debt, huge 7% deficits, manufacturing decline, declining oil and gas production and an economy way too over-reliant on the financial service sector. 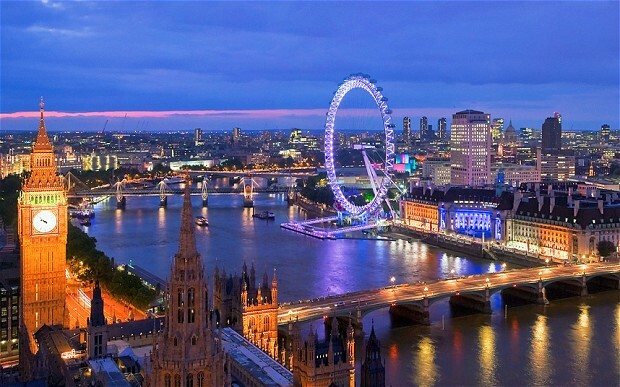 Financial Services Exposure: London as a global financial centre is being attacked from all sides – by the EU and USA – because they see London as a threat and there must be jealousy of London’s success. Over the past 20 years, it lead in innovation of financial services – and of course this lead to many problems as well – but it is undeniable that London’s financial district over the long term has been the fastest growing sector in the UK. All the business services and related job that in-directly feed off the City provide the core for Britain’s tax revenues and hence public services sector. As manufacturing has been hit through years of under-investment, lack of competitiveness (high costs and regulations) - the financial district’s importance has increased. Threat of Meltdown: So the threat is a major financial meltdown that could take place any time – that would then clobber the London and outlying districts and UK property market. That is the key threat. If a financial meltdown took place, it would be so swift there is no way you could sell your properties in time. You would be left with them – high debt – possibly empty – and with losses. So don’t buy property in a light hearted way thinking all will be find in the foreseeable future. There is still a significant risk of a crash in the next few years. Location: Best close to tube or train stations, in quiet streets – and used property (terrace houses or flats). If you buy new build, expect most of the profits to go to the developers. The best strategy being to purchase used properties that can be renovated clusters close to expensive new developments. Ideally flats should be on the first floor – since both men and women like these for better security. If they have a south or west facing balcony or terrace, even better. Crossrail: Also remember Crossrail will be coming through Whitchapel and Farringdon / Liverpool Street – so this part of London will continue to generate new jobs, create higher residential property price/growth. If you get the low down on the jobs growth prospects – then you will be pointing in the right direction. You need to decide where the young aspiring rich people will be living in the next 5-10 years. London is like a different country: it has performed very differently to the average UK economy for the last 30 years. as long as there is no financial meltdown, this is likely to continue. 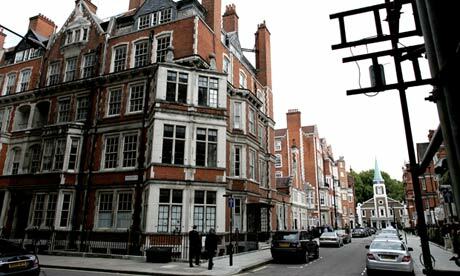 Huge waves of printed money from global sources will make their way into a so called safe haven of London property. Why is it considered a safe haven you might ask. Well, London's crime is low, security is high, Britain is an island nation, has not been invaded for hundreds of years, is politically sable, has its own currency that it can control, has good education, plenty of water, English speaking and the UK even has oil and gas production albeit declining. London is a global financial centre - and super-rich from all countries in gthe world choose to hedge by owning a property in a prime London location, just in case their country goes pear shaped. Just consider the alternatives - Paris (75% taxes), Moscow (crime), Spain (depression), Amsterdam (mainland), New York (crime, cost, poor public transport), Beijing (pollution), Hong Kong (overcrowding), Rio (crime, language). Legal and property rights are extremely good - so if you buy a property in London, it cannot be seized, tax rises are fairly low and interference is low. So waves of the new global super rich will continue to snap up prime London property in our view - especially when their own developed nation current value increases - making London look cheap (believe it or not).